Safety is our #1 priority for youth rugby players. 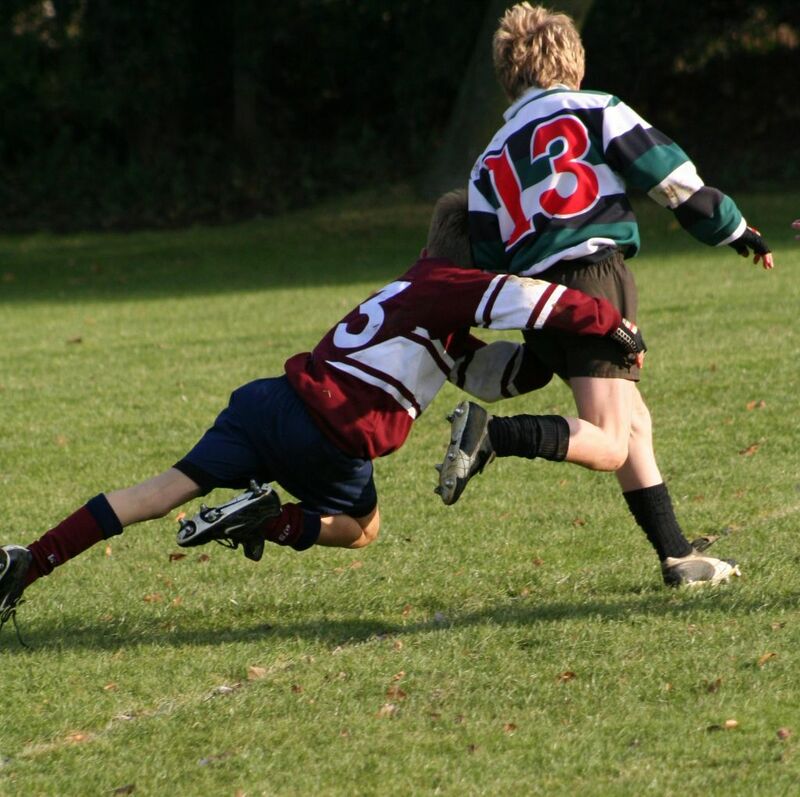 It is especially important in tackle rugby, as almost all Fort Hunt Rugby players are new to the sport, or remain novice players for their first couple of years, safety is our paramount concern. Rugby is no fun if you’re hurt, and we want all players to have fun, and return for the next season. Safety extends to coaches, parents, spectators, and all others who take part in or attend Fort Hunt Rugby events. Training/Game Conduct: Coaches and referees will work together to ensure safe training and match environments, to include the ground, obstacles/hazards, and the maintenance and reliability of equipment. Tackle rugby is a full-contact sport, fast-paced and with both formal and ad hoc formations that require intense physical contact with both teammates and opponents, and it is played without padding or other body protection. It is inherently dangerous, and every player will emerge from a well-played (tackle) match with bruises and scrapes, usually to the knees, elbows and hands. More serious injuries unfortunately do occur. When they do, most often it is the result of chance, but sometimes it is the result of reckless or dangerous/illegal contact on the part of the injured player, or another player. More serious injuries are open cuts/lacerations, deep bruising, sprains and strains, on up to broken bones, joint dislocation and tendon/ligament damage, and dental injuries. Safety is crucial for the tackle, for both the ball carrier and tackling player. Primarily for boys who have grown up playing both neighborhood/informal football and organized football, “de-footballization” (this is not a slam on football) is major part of our effort, as we de-emphasize the big hit, the crashing-together of bodies, delivering any kind of blow, and acclimate players to the different nature of rugby contact. A rugby tackle is a very specific, Lawbook-defined thing, and contact that deviates from this is dangerous and illegal. Without padding, previously learned behavior for tackling is dangerous to all involved, it does not help either side, and it does not add to rugby’s enjoyment for players or spectators. Tackles must be low and around the waist, and must take place with one or both arms wrapping the ball carrier. The ONLY player on the field who may be tackled is the ball carrier; there is no blocking. Arm shots, shoulder charges, body blocking and/or cross-checking are physically dangerous to both the tackler and ball carrier, and constitute illegal, dangerous and unsportsmanlike play (grounds for a yellow-card warning or immediate red card/send-off). The jersey-sling/scrag tackle is illegal, as it dangerous to the ball carrier and to all in the swinging player’s arc. Lifting a ball carrier off his feet in a tackle and slamming him to the ground is illegal, and is grounds for immediate expulsion from the match. Any form of tackle where a ball carrier is intentionally picked up is illegal, and is grounds for immediate expulsion from the match. Any form of tackle where a ball carrier is tipped or tilted to effect a downward drive is illegal, and is grounds for immediate expulsion from the match. Tackling a player in the air, while jumping to catch a ball also is illegal, as it is highly dangerous to the player in the air. The traditional head-to-the-center-of-the-chest spear tackle is illegal, as it is dangerous to both tackler and ball carrier. Leaving one’s feet--a flying tackle--is illegal and dangerous to both players. See the photo at right for a good, legal rugby tackle. Our coaches have been formally trained and certified by USA Rugby to introduce, train and coach youth tackle rugby, and we emphasize players playing in control, both mentally and physically. Players must control their bodies on offense and defense to maintain legal and beneficial play, and for safety, and must control their emotions at all times to remain helpful to the team. An injured player is in pain, and that is never an enjoyable aspect of the sport. An injured player cannot help his team, in the match or in training. An angry player loses focus, and also is of no help to his team. A personally fitted mouthguard is mandatory for all players engaging in tackle rugby training or matches. Both students and parents can get a personally fitted, professional-grade mouthguard through the Dental Careers folks at the West Potomac Academy, only $25. Click here for the page one of the West Potomac Academy personally fitted mouthguard form. Click here for page 2. Fields: Coaches have the primary responsibility to ensure fields and playing equipment (posts, flags) are suitable and safe for play. All players, coaches and spectators have the responsibility to identify and report unsafe grounds or equipment. See our Weather Considerations section for the full story. We practice and play in the rain (field status permitting); we’re playing rugby, after all. But, all activities stop immediately in the event of thunder OR lightning. All training and play halts immediately if thunder or lightning is detected, by anyone. This is non-negotiable. In the event of a thunder/lightning call, all club members--players, coaches and parents alike--will follow coaches’ directions and take appropriate shelter under grounded structures or in automobiles, and not on the field, under a canopy, under trees, etc. Parents/Spectators are REQUIRED to follow coaches’ instructions in these situations. A 20-minute clock begins at the sign of thunder or lightning, and resets to zero for all subsequent events. After 20 minutes of lightning- and/or thunder-free weather, activities may resume.